I’m starting early, because I know this is a tough one. I’ve been reducing why for a while. A few years. Sometimes it still slips out. I can’t help it. It feels so DAMN good. “WHY” is a mental masturbation trap. It’s so easy to get sucked into. It feels so good when we think we may have ‘why’ figured it out, but it’s also mental masochism, because we don’t REALLY know and we know we don’t really know. Even when they tell us ‘why,’ we know that their given reason (no matter how sincere or honest) is often not the REAL reason. Sure, the reason they give for ‘why’ is often enlightening. We can learn from it. It rarely really ‘why,’ though. Science has shown that humans use a decide-first-justify-later process for nearly everything. Our emotions tell us what to do, based on our personal priorities, survival language, and perceived good, then we explain ‘why’ even to ourselves. In other words, even those of us who really pay attention and self-reflect rarely know why we’re doing what we’re doing. So, for example, it’s a more accurate judge of character to just go by behaviors over time and assume people have their reasons. From there we can determine (ie: decide-first-justify-later) our own reactions and move on. Because ‘why’ is tempting. Asking “Why?” put the blame and emotional labor onto others (which is a HUGE relief when we are feeling burdened by whatever). I’ve been pretty good about removing that from my life. What, in these cases focuses focuses on actual thoughts and actions they have had, versus making someone dig through the murky waters of their brain for justifications. And it doesn’t create as strong a knee-jerk response of defensiveness in most people as “Why?” does. That’s worked for me, mostly. 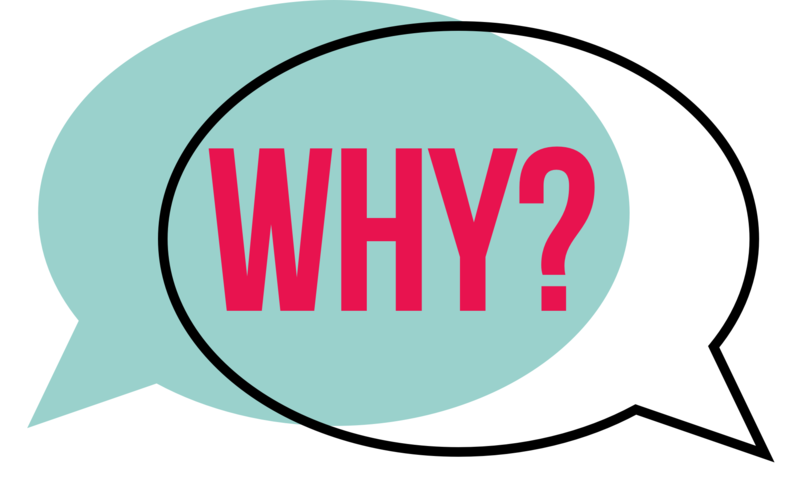 It’s harder to stop asking ‘why’ in my head, and trying to fill in the answers about other people’s behaviors. But I’m working on it. I just focus on what I’m feeling when I start asking that question, and listen to my thoughts and feelings. I also look at the actual behaviors and think about them from a logical perspective, then let go and move on. It’s been good to me. I’m going to work on it more. Because I don’t even like regular masturbation much. Mental masturbation, I like even less.